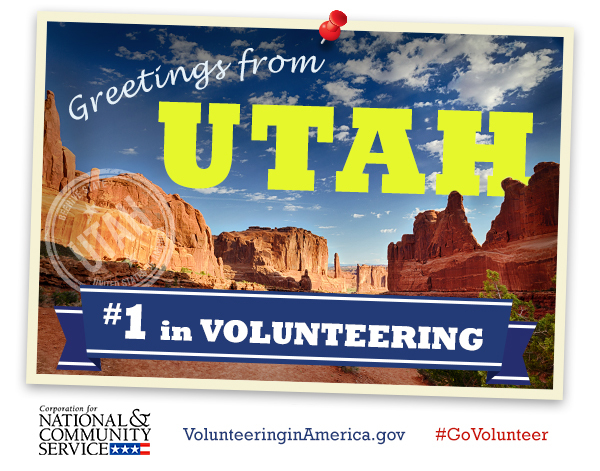 ST. GEORGE – In 2015, Utahns donated more volunteer hours than any other state, marking the 10th straight year Utah has been recognized as No. 1 in the nation for volunteerism. Gov. Gary Herbert announced Monday a new campaign to ensure those volunteer numbers continue to rise. To celebrate the Corporation for National and Community Service announcement that Utah ranked first in the United States for volunteerism, Gov. Gary Herbert kicked off the 2016 Pledge10 campaign. The campaign asks Utahns to serve 10 people, volunteer with co-workers 10 times or serve 10 hours at a charity organization in the upcoming year. Utahns put in enough volunteer hours every to fill 93,000 full-time job positions, according to the Corporation for National and Community Service – that’s $4.5 billion in economic contributions. 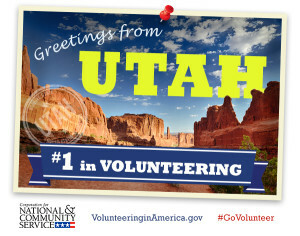 The average Utahn donates 92 hours of service per year, which is twice the average of the No. 2 state in the nation. 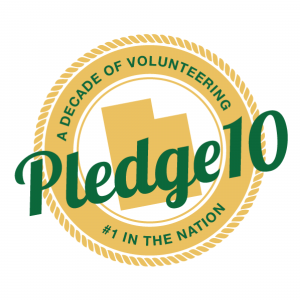 Volunteers are invited to share their service stories on social media, using the hashtag: #Pledge10Utah. Number 1 in Prescription Pain Med ABUSE as well. Maybe that’s why hey Volunteer?? to be fair, church callings are not volunteer. if u turn them down u are shamed and shunned. so is UT actually 1st? doubtful..
Be Number 1 in providing Medical Cannibus and Freedom From This Oppression and Prohibition??? ?